The functionality of a restaurant is given by the reliability of the personnel, but also by the management. 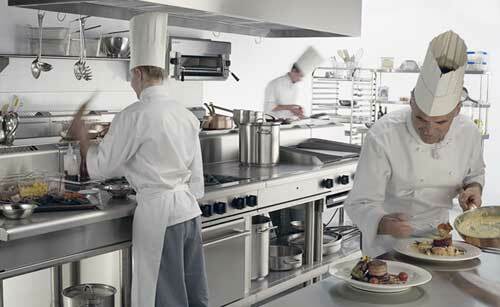 Even if we are talking about a kitchen, the principles of management can’t be neglected. A good chef needs experience in cooking, but sometimes, the capacities of ordering space, and of creating a solid working environment is more important. The functionality of a restaurant is given by three important factors: the productive spaces, the serving area, and the additional spaces (for support). With correct dimensioning of spaces, the unproductive expenses are diminished, and the working time is reduced. Controlling the quality of production is a lot easier during the preparation process and after it. If the manager is able to use automatic methods for some of the processes, the time needed for cooking will be reduced even more. The results will be seen in a better aspect for the foods, better flavors, and especially in good servicing that will be appreciated by clients. In the interior of the HoReCa units, the hygiene and sanitary conditions must be respected. The Personnel must know the working processes, and how to handle the equipments and materials. The floors, sinks and toilets must be clean all the time, and the security norms must also be respected. This is important not only for the image of the unit, but also for the authorities that will check those aspects whenever they have the chance, so you will have to be prepared all the time.